Norman Babcock (Smit-McPhee) is an awkward child with an extraordinary gift, he can see and converse with ghosts. Norman regularly converses with his dead grandmother, much to the exasperation of his incredulous father (Garlin), mother (Mann) and his sister Courtney (Kendrick). An outcast at school, Norman is constantly tormented by Alvin (Mintz-Plasse) and his cronies, and is constantly made fun of over his gift. But when the anniversary of a heinous act in his town’s history approaches, Norman’s estranged Uncle Prenderghast (Goodman) tracks him down as Norman must take over his role in order to save the day. But when all hell breaks loose it’s up to Norman, his friend Neil (Albrizzi), Neil’s hulking brother Mitch (Affleck), Courtney and Alvin to save the day and put everything right. 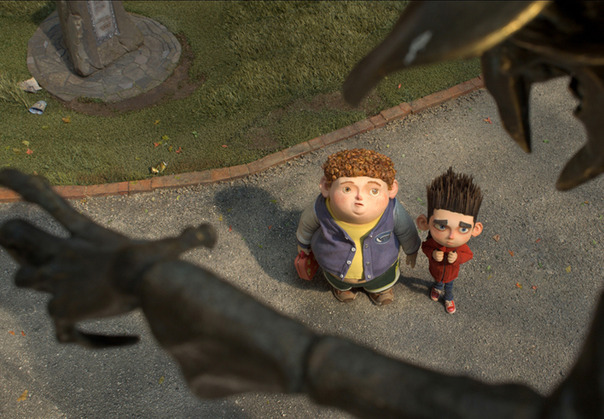 ParaNorman is a film that actually works even better at home. It remains a smart film that doesn’t pander to the audience while never getting scary enough to truly frighten its target audience. The script is smart with the more adult targeted humor playing better on the small screen. The story does borrow from films like the Sixth Sense quite a bit, but the endearingness of Norman and his friends more than compensates for some of the more familiar story beats. The animation style works extremely well and the stop-motion is fantastic. It does not try to be anywhere near photo-realistic thankfully and I found it very reminiscent of the old Rankin/Bass TV specials I grew up on and still watch around Christmas every year. Directors Butler and Fell keep the film tightly paced and on target as it clocks in at a satisfying 93 minutes. The actors performing the voice work all work well here, especially our leads Norman and Neil along with Norman’s perfectly casted parents. Kendrick’s work as Courtney is really solid here as well, as the nuances of her character play better on the small screen. The DVD is packed with a ton of great features to check out as they really go deep behinds the scenes and into all aspects of the production. We get a feature length commentary track going into all aspects of the filming with Directors Butler and Fell along with some pre-visual animatic sequences used for the filming. At around 40 minutes in total, the multi segmented Behind the Scenes package “Peering through the Veil” is full of informative and fun facts. And if that weren’t enough there are 7 additional featurettes covering other aspects of the film. A great pack for adult and child alike. Sure to be present under many a Christmas tree this year, if you can hold out that long, ParaNorman is a treat and delight for the entire family. Loaded with special features and featuring a brilliant crisp and clean digital transfer, the DVD really becomes a can’t lose package. 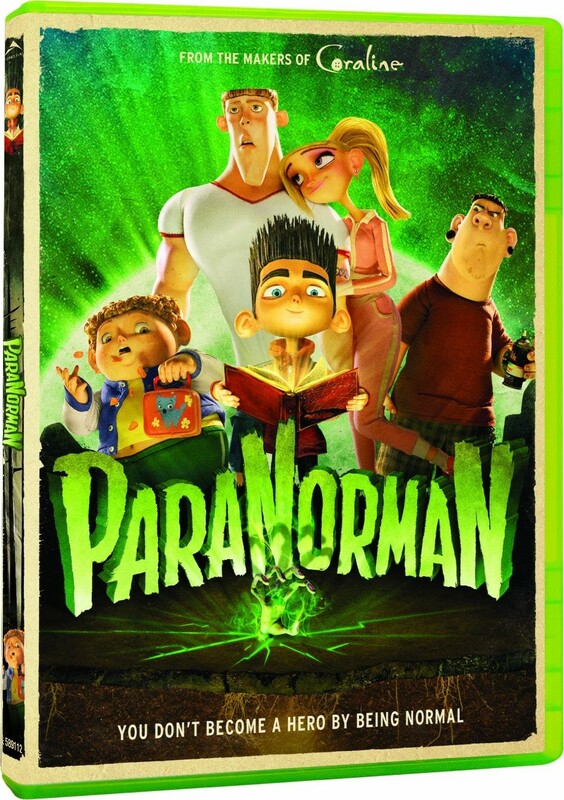 Based on this, ParaNorman on DVD is a must buy DVD and will be a fun holiday watch for the whole family.